I expected to like this book, I was surprised by how much I liked this book. Grayson is a 6th grader who lives in downtown Chicago, and Grayson has a secret: inside, she* believes she is a girl, but she was born a boy. She wears baggy pants she can imagine into skirts, and long shirts he can pretend are dresses. She doodles disguised princesses in the margins of her notes. And so at a time when the world is crying for more diverse books and LGBT rights, comes a beautifully written book with a complicated, tender, and thoughtful transgender main character. Grayson’s world is populated by complicated and sympathetic characters who display a vast, believable range of reactions to Grayson as he reveals more and more of who she* really is. There are the confused, the uncomfortable, the fully-supportive, the ignorant, the tentatively-supportive, and a lot of other more more multi-faceted reactions. We watch all of these reactions through Grayson’s eyes and, like her, we have no idea how each person she reveals a small part of herself to will react. Every time a little more of her real self shows, the reader feels that little tightness in the chest about how this will go. Some characters surprise you with their kindness and some disappoint you with their bile. The way Polonsky builds empathy for Grayson through these moments is masterful, and what I think makes this book so important. We need diverse books so we can empathize with people who are different from we are, and so people who have not previously seen themselves in books can see themselves and know they are not alone. Gracefully Grayson does both of those things, well, gracefully. I can’t wait for a bunch of people to read this book! I only teach 3rd grade, but I will be buying a copy for my class library, where I hope it will teach a few (more advanced) readers some empathy or provide some comfort and inspiration. *I went back and forth about whether to write this review with a male or female pronoun attached to Grayson. At first I had a female pronoun, but it seemed confusing, so I switched it back to the male pronoun. Then a person on Goodreads called me out on a excerpt from the review for using the male pronoun, and it seemed like he really had a point, so I switched it back. For the sake of clarity (sort of) for you, reader: throughout most of the book Grayson is perceived as a boy and anyone interacting with her would have used “him” or “he” when referring to her, but it seemed like the right thing to do to use “she” here. 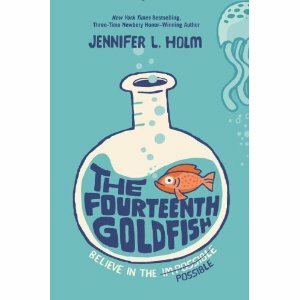 The Fourteenth Goldfish is sort of sci-fi, sort of magical realism. Sci-fi realism? On one level the book is about a grandfather who discovers a way to reverse age and becomes a teenager again. But mostly the book is just about family and coming-of-age. Not even in a that’s-just-the-theme way like just about every book for kids is about coming of age in some way and a lot of books are about family. Like, the real central plot of this book is about family, and the reverse aging thing is the secondary plot. 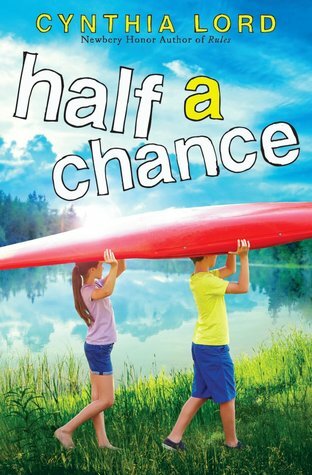 And the glossing over of half the interesting stuff is why I had a hard time with this book that everyone else and their mom is totally in love with. 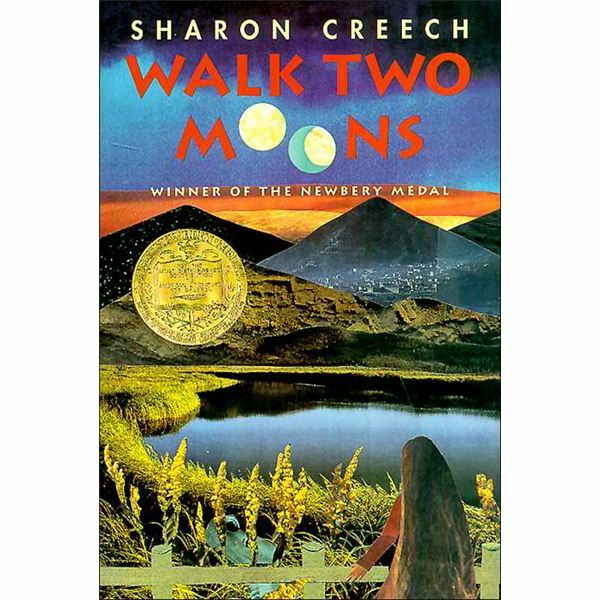 There are a lot of very familiar themes in Walk Two Moons but none of them are tired in Sharon Creech’s hands. Walk Two Moons flips back and forth between the story of Salamanca on a road trip with her grandparents west to see her mother, and the story Salamanca is telling them about her and her new friend Phoebe. It’s masterful and touching and stabs you right in the heart. 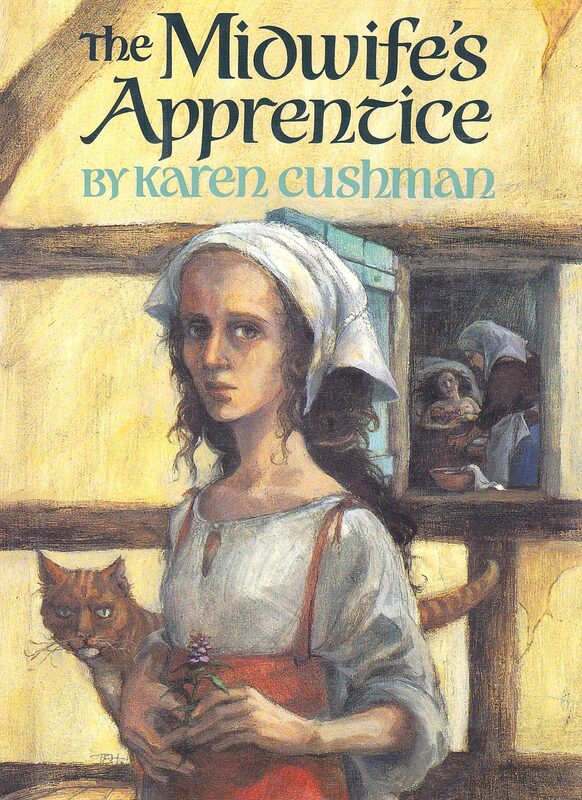 The Midwife’s Apprentice is a creatively-titled book about a midwife’s apprentice. In the grand tradition of books that take place in the middle ages, the character starts the book without a name. (See also: Crispin: The Cross of Lead) In the other grand tradition of books about the middle ages reminding us how ridiculously filthy the middle ages were, the main character begins the book in a pile of dung. She is found by a midwife, who agrees to let her not live in a pile of dung anymore in exchange for her help around the house and with general midwifery. The midwife is not very nice. (As far as I can tell, no one in the Middle Ages was very nice. Probably because they were all so filthy and poor all the time. You try being nice when you’re covered in poop and haven’t eaten a decent meal in ever.) Our intrepid main character (who eventually takes the name Alyce) learns a bunch ventures out on her own. E.L. Konigsburg’s award-winning book-writing career is kind of strange. Her first book, Jennifer, Hecate, Macbeth, William McKinley, and Me, Elizabeth, won the honor, and then her second book was From The Mixed-up Files of Mrs. Basil E. Frankweiler, and then she published 8 more novels and a handful of picture books and short story collections rather quietly before Newbery came knocking again for this book. And I can’t say I’m entirely sure why. The View from Saturday is basically 5 overlapping stories from the perspective of one teacher and the four students she selects to be on her Academic Bowl team. All the students are rather thoughtful and quiet types, and three of them are connected by a weird old person wedding. 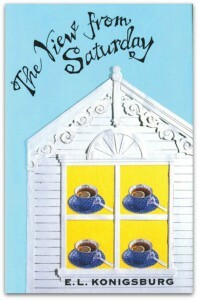 The fourth is new in town and invites everyone over for tea, because that is what thoughtful, precocious children do. The book weaves their stories together slowly so we eventually see how their lives intertwine and how they’ve all made each other’s lives richer and all that. No one warned me about this book. 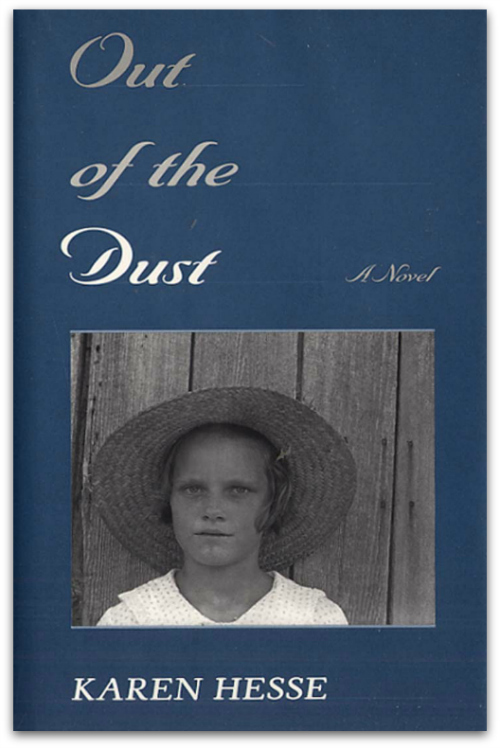 The cover made it look depressing enough (that is not a happy kid there), and I knew it was about the Dust Bowl, so I wasn’t expecting a comedy or anything, but COME ON. THIS BOOK. When I was going into 9th grade I had a summer reading assignment. My high school was notorious for these summer reading assignments. 3 required books with massive projects for each one. The whole thing took weeks to do. You couldn’t put this off until the last two days of summer. It was brutal. One of the books we were assigned to read was Ray Bradbury’s Dandelion Wine. It’s one of Bradbury’s lesser-known works mostly because it’s not science fiction. 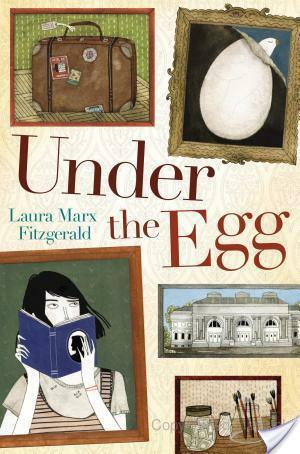 It’s a lovely coming-of-age story that takes place over the summer, loosely based on Bradbury’s childhood. It’s about all the simple joys of summer as a child: picking fox grapes and catching fireflies and wrestling with your brother on the soft grass and all that. Grown-ups love that stuff. But when we showed up for the first week of school with our summer reading assignments in hand and our English teachers asked us what we thought of it, pretty much every 9th grader declared this one of the lamest books they’d ever read. “But it’s so beautiful!” our teachers exclaimed. Sure, summer is beautiful. But we had just spent the last few weeks of our’s stuck inside reading this damn book and writing this essay about it, rather than running around and catching fireflies ourselves. What the hell? We made it to the present, guys (for a good portion of this book)! We’re not stuck in the depression anymore! 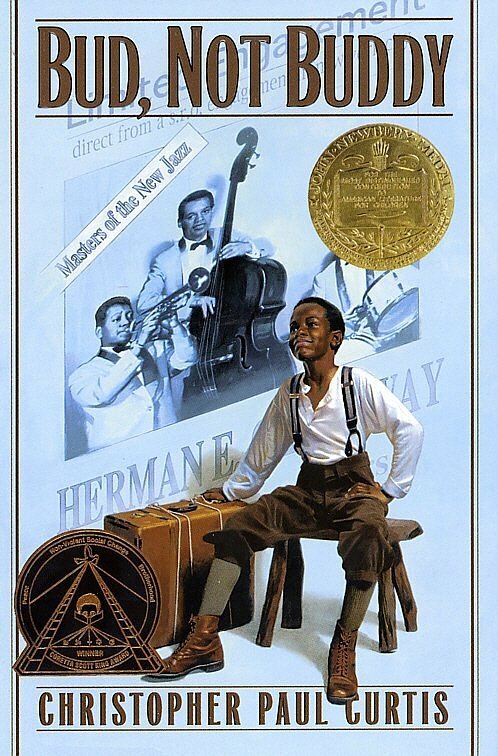 But we have also made it back to the last century of Newbery winners! Welcome back to the 20th century everybody. We’ll be here for the remainder of the project. 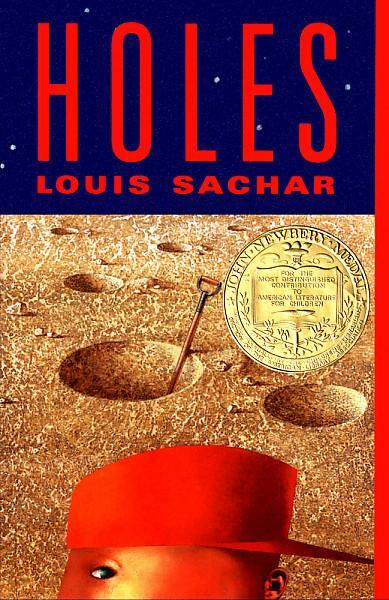 And it’s time for Louis Sachar’s Holes! Are you as psyched as I am? Maybe! Lots of people really love this book! They should! It’s great! ALL THE EXCLAMATION POINTS!!!!!!!!!! So, yes, quickly, Holes is about Stanley Yelnats (same backwards as forwards!) who is accused of stealing some very valuable shoes that were to be auctioned off for charity, so he’s sent to a juvenile detention camp where everyone just digs holes all day in search of a mysterious treasure. Not getting any closer to the present, yet! Still stuck in the depression, guys. This one does take place in a city, though! Not a huge city, but a city (or two cities, really) nonetheless. None of that romantic rural farm life nonsense here.